Get the best tips on how to Price your cakes appropriately for your Cake Business. Learn how to build sustainable profits and income from cake decorating. I remember it as clear as day, hurriedly looking into my bank account for the cake payment to come through. There is was…. $100 shiny dollars. Hooray! Cha-ching!! I made a sale, I got some moneeeehhh….. I sat back in my happy little cake bubble but as I did, my eyes trailed down to my final bank balance and that’s when it hit… My bank balance was LOWER than what it was when I checked in a few days prior. All those emails back on forth, that SKETCH I painstakingly made, the cake boards & fondant I just purchased…. All this and my bottom line wasn’t growing? What on earth??! Chances are, there is a chorus of YAASSS happening all across the globe right now as your eyeballs lay hold of this article. I’m gonna say it now, loud & clear – I believe something in our cake industry needs to shift. The truth is, whilst making cakes is fun, fulfilling and our passion…it is very much so at its core, A JOB. The emails, inventory, designing, baking, frosting, decorating, delivering, marketing… this is all attention-absorbing, energy-requiring W.E.R.K .. can I get an ayyyy-men? The journey to building my pricing philosophy has been a work-in-progress spanning years. I didn’t wake up one day with a revelation, suddenly able to charge over $1000 bucks for a cake like I’m blessed to do now. It was a process and one that took much longer than it should have. Along the way during that process, I also learnt so many other hard lessons about growing my cake Business. I’ve collated them all into a free Guide titled ‘Keys to Building a Successful Cake Business’, so if you run a cake hustle yourself, you might wanna check it out. However… back to CAKE PRICING (dum-dum-DUMM). 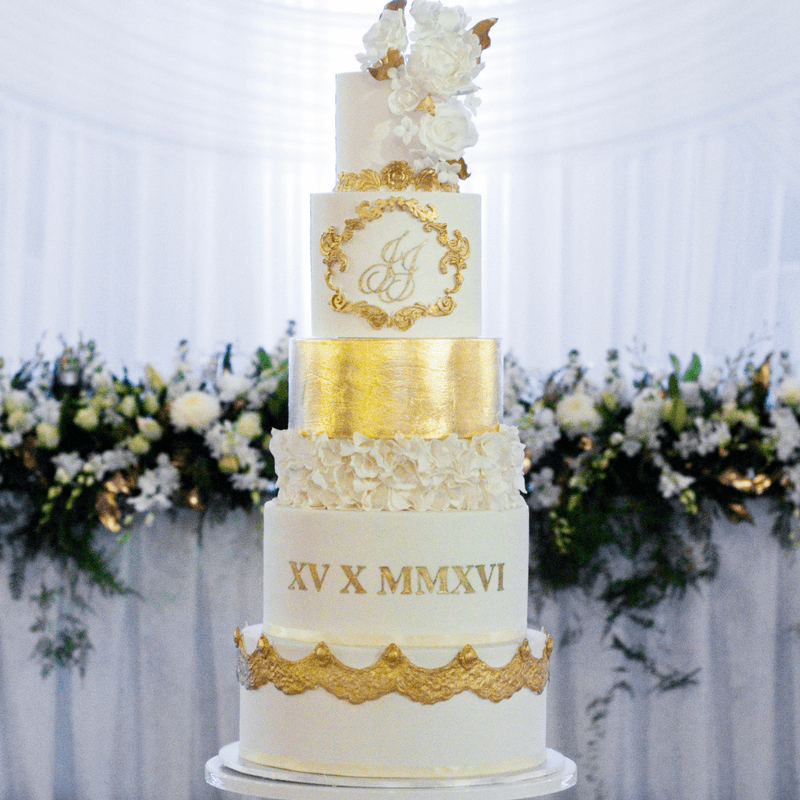 In this Blog post I’d like to share with you the “philosophy” that I’ve developed over the years which has helped me form my cake business price structure. This isn’t a How-To guide to equations nor is it a magic pill that will tell you exactly how much to charge for each product you make. That said, I truly believe these lessons I’ve learnt along the way will help you know how to approach your cake pricing with more intention, confidence and a wider perspective. I’m sharing all this for no other payback than the hope that it helps our industry as a whole. If we ALL see our work as valuable, our clients will start to as well.. AND this will (in time) build the health and value of our industry. Ultimately, I want to help champion your dream and to let you know that it is entirely possible to make a good living doing what you love. So often we cake decorators only see ourselves as just that, cake decorators. We slot ourselves into the tradesperson category but don’t realise that the moment we emailed our first Invoice and submitted our business registration, we shifted from cake maker to Business Owner. This however, is something so many of us never realise until the workload starts setting in and the struggle to sell becomes apparent. And you know what? It’s not really our fault. Most of us never wanted to be in business. We just wanted to make cakes. Don’t see yourself as a cake maker who sells cakes. See yourself INSTEAD as a cake business owner who makes cakes. Only when you see things though these lens, will you approach your cake business as it should be approached – as a BUSINESS. Why can’t we continue the way we are right now? Why the need for a mindset shift? Well here’s a statement which will cause some queasiness: You cannot continue to make pretty cakes for a living if you are not making a profit. You can certainly do it as a hobby and this is totally okay if this is what you want. But if you have hopes of making this a full time gig or at least a sustainable part-time job, then it is necessary to put on your business hat. Start seeing your work as both business and cake making. This will help you approach your work more strategically and intentionally, which is the starting point for growth. What does this mean? It means that you have permission. You have full permission and power to decide what you want to charge for in your business and how much you want to charge for it. I have lost count the number of times I have been shown a picture of something and asked “Amanda, how much would you charge for this?”. Honestly, I never answer with a price when I’m asked this cause doing so wouldn’t be setting you up for success. It would be very much like giving you a puzzle piece that belonged to a DIFFERENT jigsaw puzzle instead of helping you find the piece for your specific puzzle. The thing is, there isn’t a secret cake pricing rulebook floating around that we need to measure our cakes by. There isn’t a right or wrong. What DOES make a pricing right is if that price matches the work you do and is steadily growing in its capacity to provide you with a decent income. So if you feel you need to charge for delivery, charge for delivery! If you feel you need to charge for tasting boxes, then go for it! You don’t need someone to endorse this decision if deep down you’ve done the math, looked at the costs and seen that this is financially necessary. You are the best person to know your income needs and overheads, so give yourself permission to weigh all those up and decide what your business income needs are and charge accordingly. Related to the above point, don’t measure your prices based on what others are charging. Yes, it’s necessary to consider competition in your area and what their price points are. But only take it into consideration and don’t let that be your entire price structure. In the past, I was SO guilty of blindly following my competitors pricing. If their base price was $100, then hey, my base price was $100! *Shakes head* Silly, silly Amanda. See, the thing is, when you price your cakes according to others you are following a road map that belongs to someone else. It ain’t gonna make any sense and it won’t lead you to where you want or need to go. How do I want to position my business in the market (premium or “everyday-accessible” or somewhere in between)? What stage am I at in my decorating career? What profit margins am I aiming for each quarter of the year? These questions will help you get a start in forming your own business’s price structure and allow you to take ownership of your business. Hey, here’s something to think about… Just because baking is something we love to do, doesn’t mean that we don’t deserve to get paid well for it. I’ve met quite a few cakers who feel guilty for charging over $200 for a cake because they think it isn’t quite right to charge so much for something they consider a hobby. I also often meet cake decorators who squirm when the discussion delves into the topic of MONEY. Personally, coming from both a business degree AND pastry chef background, I am fairly comfortable talking about money. I looove talking about business and strategies for making things work. Is cakes something you want to do for fun only when you get spare time outside of another job (which is perfectly okay too), OR do you want cakes to be the way your earn a living and what you spend a majority of your time working on (be it part time or full time)… and If you are on the fence with this, I’ve created a free business guide ‘5 signs You’re Ready to Start a Cake Business’ that I hope helps you. When someone wants to be an accountant, a mechanic or a teacher, they usually undergo some form of education, apprenticeship or internship. There is a dedicated amount of “unpaid” or minimally paid time of training & learning. On the flipside, for quite lot of decorators, the start of a cake business occurs rather instantaneously, without any formal education. Therefore, the early stages of our decorating career can be seen somewhat of an “apprenticeship” where we learn on the job. Over time, the low-priced cakes we make give us much needed practice to hone our skills and build our portfolio. However, as you continue to work on your skills, take classes, dive into tutorials and spend time practicing your craft, it is only reasonable that your income should increase as well. As we now don’t have a supervisor or boss to give us a pay raise, the onus now falls on ourselves to incrementally evaluate our prices. It’s good practice to consider your pricing on an annual basis (the start of the year is often a good place to start). If you encounter repeat clients questioning your price increase, you can politely respond that the quote is based on the current year’s price structure and annual base price increases are a common industry practice. Similarly, if you WANT to build up your business to a place where you can charge top dollar for your cakes, then you HAVE to put in the work in building up your cake techniques. You do need to invest in your cake education and continually improve your skills set through continued practice. Practice, practice, practice! Don’t let failures or mistakes deter you. Persevere in honing your craft and in doing this, the quality your work will increase and clients will more readily see the perceived value of your cakes – giving you permission and power to charge more for your work. If you’re a caker in biz or just starting a business, you might wanna check out another free guide titled ‘5 Must Dos to Building a Successful Cake Business’. This one came out of a time of reflection on my past cake struggles and the fundamental factors that helped keep me on the path to where I am today. At the end of it, pricing our work is tricky business. To put a price tag on a work that is so very deeply personal and a direct outcome of our own blood, sweat & tears is hard. To have someone reject those prices and say “that’s too expensive” is EVEN HARDER. So if you’re trying to up your prices and no one’s biting, as yourself “How can I increase the perceived value of my product?” – Finer techniques? New designs? Clearer photos? Fresher branding? Better emails & communication? I hope the above points have, like a compass, helped point you in the right direction and given you a clearer vision for approaching your cake pricing. Cake Decorating is a REAL JOB and cake business is a REAL BUSINESS and yes, it is entirely possible to make a good living from baking. Remember that your work is valuable, your time is valuable and most of all you are valuable. Thanks for writing this Amanda, I’m one of those who feel guilty when I up my prices because friends constantly expect it to be low just because I cake at home. My question is, what if I up my price and people who regularly order stop doing so?